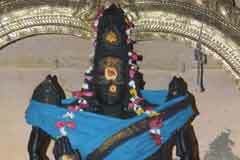 Saint Tirunavukkarasar – also Appar – had sung the glory of Lord of the temple in his Thevaram hymns. 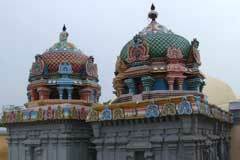 This is the 32nd Shiva temple on the southern banks of Cauvery praised in Thevaram hymns. 18 day Chithirai Brahmmotsavam in April – May established by Sage Markandeya with procession of Lord not only around Tiruneelakudi but also around the surrounding 18 villages each day and considered very important among the devotees ending at Elandurai ( Pavundarikapuram) village; Margazhi Tiruvadhirai in December-January; Aadipooram in July-August; Karthikai in November-December are the main festivals of the temple. Also other days of importance as monthly Pradosha days, Deepavali, Pongal, Tamil and English New Year days are celebrated in the temple with special Pujas and Aaradhanas, Abishek etc. 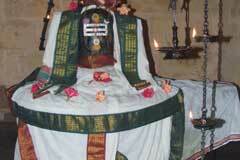 Lord Shiva in the teple is a swayambumurthi. Despite pots of oil poured on the Shivalinga each day for abishek, the oil is completely absorbed within the Shiva linga and no drop would be visible and make the Shivalinga wet. What is more wonderful is that the Shivalinga always appears as if no oil abhishek performed on it for a year. The vilwa tree in the temple has five petals while usually it has only three in other vilwa trees. 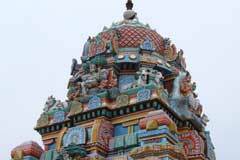 The temple is open from 6.00 a.m. to 11.00 a.m. and from 5.00 p.m. and 8.00 p.m.
Sri Neelakandeswarar Temple, Tiruneelakudi-612 108, Tiruvidaimarudur Taluk, Thanjavur district. The temple has two Ambicas – Oppilamulayal (Anupamasthini) and Bhaktabeeshta Pradayini in penance posture. Lord Vinayaka in the temple is praised as Nardana Ganapathi. Couple separated due to various reasons prays to Lord Neelakandeswara for their re-union and a renewed family life. 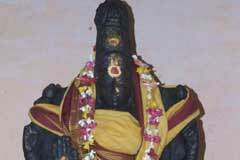 The also pray for longevity and perform remedial pujas to Lord for relief from the adverse aspects planet Rahu. Many pray for wedding, child, mental peace, job opportunities and success in trade efforts. Oil abishek is the most important commitment in this temple along with milk, curd, green coconut, sandal, sacred ash, flour, turmeric powder. Devotees also offer vastras to Lord and Mother. Some undertake feeding-Annadhana. 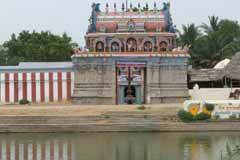 The first thought that strikes a devotee on hearing the name of Tiruneelakudi is the oil abishek to Lord. Pots and bowls of oil poured on the Shivalinga dries off then and there and it appears as if no such abishek was done even for a year. There is no clue till now where the oil disappears. The Shivalinga is ever rough on the surface despite such continuous oil abishek. It is said that such large quantity of oil is used to bring down the poisonous effect on His neck (Neelakanda) when he devoured the Halakala poison that emerged when the milk ocean was churned to protect the world. With the Vilwa tree –Pancha Vilwa tree - with its five petals, the jack tree in the temple has also its own sacredness. The fruit should be cut and offered to Lord as nivedhana and then only taken to homes by the devotees. Taking them direct without offering to Lord will end in some punishment. It is proved by experience to those who wanted to test this condition. The Shiva Linga is not soft despite abisheks of years. A turf also appears on the Shivalinga. 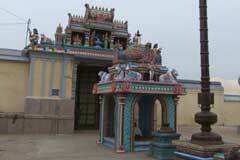 This is the sacred place where Sage Markandeya was blessed with immortality. Mother Dakshayani attending the Yajna of Daksha against the wishes of Lord, performed penance here and joined Lord again in this sacred Tiruneelakudi. Lord Brahmma, Sages Vasishta, Devakanda, Surapanma and Kamadenu the divine cow worshipped Lord Neelakandeswara and got relieved of their curses. Saint Appar sung his soul touching Thevaram hymns. It is mentioned in the Sthalapurana – local history – that while Appar sung the ‘Kallinodu Avan Kayyar’ hymn meaning ‘when tied with the stone’ he mentioned only Lord Neelakandeswara of the temple. The story of Appar thrown into the sea by the Jain backed king into the sea tied with a stone and the very stone becoming a floating cork taking Appar to the shore unharmed is an outstanding experience of a devotee saved by Lord Shiva. It is an epic by itself. 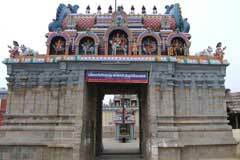 Those following the Yoga Marga, Tiruneelakudi is the place to begin with as Mooladhara sthala. There are six Aadharas known as Mooladhara, Swadishtana, Manipooraka, Anagatha, Vishuddi and Aagna in the human body. The efforts to raise the Kundalini Shakti begin from the Mooladhara. When Sage Markandeya determined to escape death, Sage Naradha advised him to surrender to Lord of Tiruneelakudi to win the wish. Markandeya scrupulously followed Naradas’s advice and was deeply merged in penance. Lord appeared before him and asked what he wished. As begged by the sage, Lord granted him Immortality – Chiranjeevi – boon to Markandeya. As a token of his gratitude to his Lord granting him an endless lease of life, Sage Markandeya took Lord in a palanquin to Ilandulai, Enadhimangalam, Tirunageswaram, Tirupuvanam, Tiruvidaimarudur and Maruthuvakudi and other places. Miracle Based: Lord Neelakandeswara is a swayambulinga. The Shivalinga is never wet with oil though pots poured for the abishek. It is ever dry. Till now, researchers are unable to get a clue as to where and how the oil disappears and how Lord Shiva looks as if no oil abishek is performed for a year or even more. 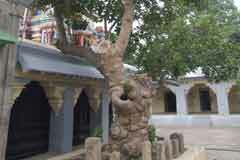 The Vilwa tree in the temple has five petals. 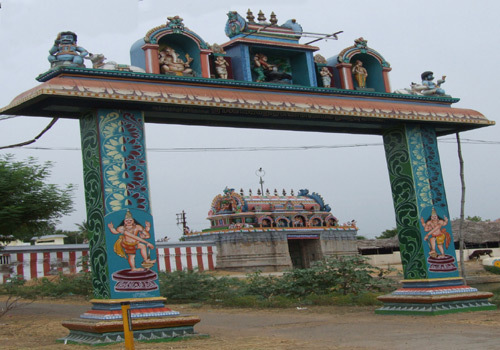 Tiruneelakudi is 15 km from Kumbakonam on the Karaikal road. Bus facility is available from Kumbakonam.